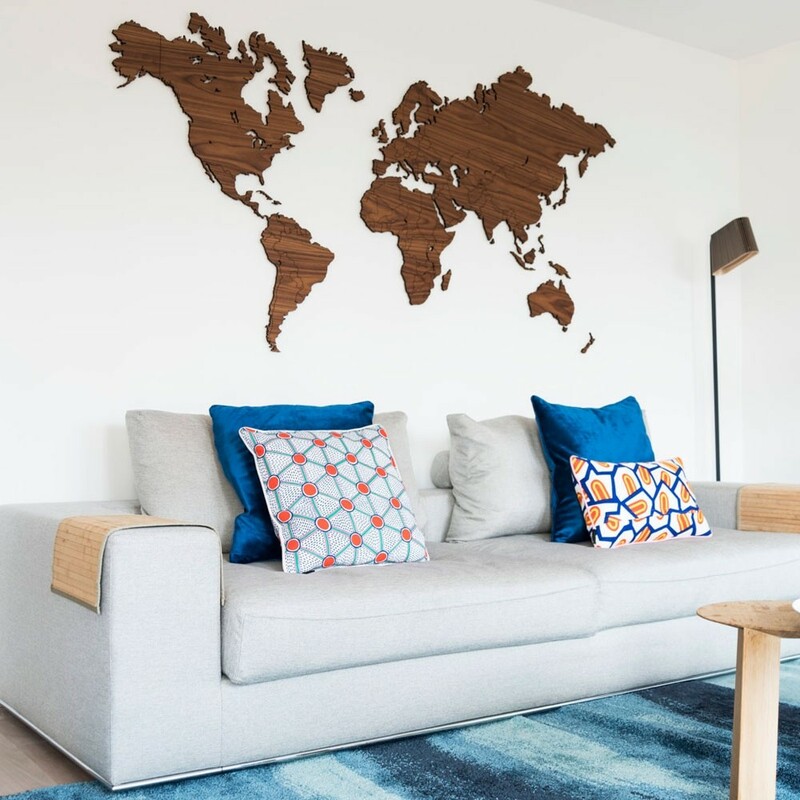 This wooden map is available in two sizes and features etched borders around different countries, presenting a delightful detailing to the overall design. This wall décor comes complete with mounting instructions, template, fixings and spacers. The final mount give the map a floating effect and stands 1cm from the wall surface. Perfect for living rooms and home offices, this design makes an outstanding addition to the home.